Maria Teresa Standridge-A woman who loves God and others. Yesterday, Maria Teresa Standridge went to be with the Lord. 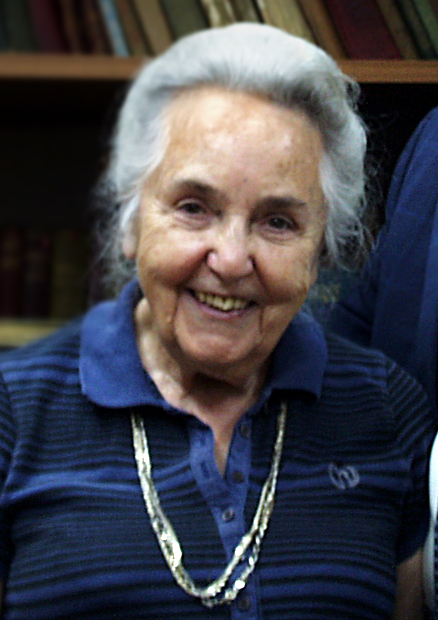 Maria Teresa served the Lord with her husband, Bill, for nearly sixty years in Rome, Italy. Though she was eighty-nine years old when she died. She served the faithfully until her death. Maria Teresa not only impacted the lives of many people in Italy, but also in the United States and around the world. I had just finished blood tests in a medical center and things seemed really serious. I did not expect anything like this, even though, for a few weeks, I had been feeling pretty weak and with little energy. We went straight to the emergency room of a large hospital in Rome, close to home, and soon I was lying on a bed with a needle stuck in my arm and a nice bag of blood, which was followed by two more, transferring its liquid, drop by drop, into my veins. Since then I have been on a rollercoaster of news and surprises, hospitalization, other blood tests, and also samples of bone marrow, that led to a diagnosis of acute myeloid leukemia, to which doctors have added the unpromising adjective “terminal” . So today, without any particular pain and, apparently, still in good health and with a good measure of strength, I find myself thinking in a very practical and realistic way, of my “going home with the Lord” when He wills. Perhaps very soon. How have I reacted to a story like this? Honestly, surprised and almost in disbelief. But, even so, with HIS peace. A few years ago, when I was invited to do Bible studies in a Conference for women, I said with a laugh that, given my age of more than 85, (soon I’m going to be 89), the organizers would do well to also get a “spare tire” in case I had to decline the invitation. But honestly, given my health that I thought was disease-proof, I said it jokingly as if I were actually immortal. Today, the jokes are over and the reality is different. It is a reality of a certain sadness (I’d be lying if I said otherwise), but also very calm. Sadness because leukemia is a reality that speaks of separation from Bill, the only love of my life, with whom I have spent more than 56 years, and have had the joy of serving the Lord, in a kind of spiritual and also intellectual symbiosis. I shared a passion for the Word of God, the commitment of raising four children, and the responsibility of helping many to learn and grow in biblical faith. 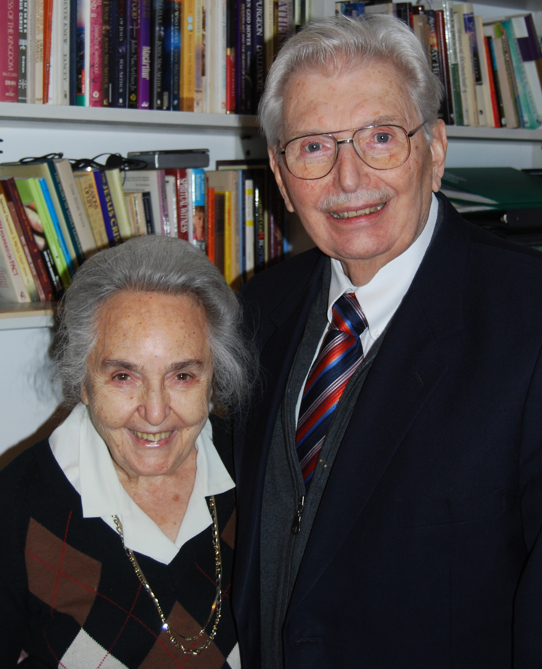 Bill and Maria Teresa Standridge- Serving the Lord together for over 56 years in Italy! I know that after my departure Bill will feel a bit as though he was “mutilated”, but I know that his love for the Lord, His Word, and the Italians, will support him and help him serve as long as he has the strength. Of course I do not like, either, the idea of ​​leaving our four children, three daughters-in-law and also a son-in-law, who love me and twelve grandchildren (one married) and two great-grandchildren, each one more lovely than the other. But the moment of separation will come. But my joy is that all have trusted the Lord as their Savior and are therefore in his hands. But now, let’s talk about the reasons for my peace of mind. I came to know Jesus as Savior and Lord when I was 20 years old. Since then, the grace of God has surrounded me and the unmerited favor of the Lord has wrapped and protected me. I know I’m saved, and my faith is based on the promises of God’s Word. One that comforts me in particular is the letter of the Apostle Paul to Titus: “He saved us, not because of works done by us in righteousness, but according to his own mercy, by the washing of regeneration and renewal of the Holy Spirit, whom he poured out on us richly through Jesus Christ our Savior, so that being justified by his grace we might become heirs according to the hope of eternal life.” (Titus 3:5-7) What more than that could you want or hope for? Then I had the honor to receive from the Lord a clear call to serve full-time, I went to Bible school, I had teachers of great value, I have experienced the extraordinary time of evangelistic fervor and spiritual growth in Italy after the end of World War II. I was a part of the beginning of the new period of political freedom in Italy that gave us permission to start youth camps, summer schools, conferences and all kinds of activities that the Lord has blessed. I threw myself headlong into every new evangelistic project. My university studies prepared me to have a ministry of writing and my heart led me to make available to the Lord every capacity that He had given me. Over the years I learned to study and nourish myself in the Word of God, I understood the importance of furthering knowledge in His truth, and rooted my faith in obedience to what it says. Without a good supply of this type of knowledge, the Christian life can become very severe and be very flat. I confess also that I have made many mistakes for which I had to ask forgiveness from the Lord, from my loved ones, brothers and sisters, and I realized that forgiveness is the key to the Christian life. It is essential in both the human family and that of God. He who does not forgive others has understood little of the love of God, but those who practice the confession of their sins to God and asking for the pardon of all they have offended, know that the blood of Christ purifies them and allows them to walk in the light (1 John 1:8-10). After so many years of walking with the Lord, I realized that “in me, in my flesh, Maria Teresa, dwelleth no good thing” (Romans 7:18), but whatever I did that is good is what he has done for me and in me (Isaiah 26:12). During a conference in Isola del Gran Sasso, Daniel, one of our sons, in a meditation stressed the fact that after the resurrection, Jesus bore in his body the marks of his suffering and death for us. The disciples have seen his scars and know that, with his resurrected human body, Jesus ascended to heaven. In the vision of Revelation, John later saw Him as a “lamb, standing, which seemed to have been sacrificed” (5:6) and I, with myriads of believers (and hopefully with you) will behold for all eternity those signs of the price paid by Jesus for our salvation. Those signs will inspire us to worship Him in perfection. This wonderful thought humbles me, but also fills me with great gratitude. Do you want to have the same my certainties? Previous Previous post: Do Not Fear God’s Plan. Embrace it! Next Next post: A Prison of Mine Own Making: Am I a People-Pleaser?